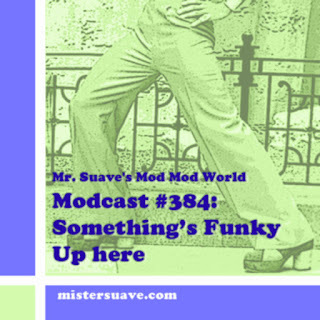 This week's show is a tribute to a man I consider as mod a composer, as mod a musician, as mod a man, as any mod out there. 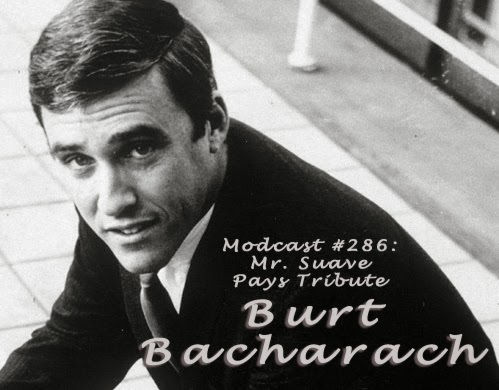 Mr. Burt Bacharach. Ever since his first chart hit --written for Nat King Cole in 1952-- Burt Bacharach has written music that swings with soul. He wrote a number of hits for northern soul singers like Jerry Butler as well as groundbreaking chart toppers like The Shirelles (arguably the first all-girl soul group to top the chart) not to mention sixties superstars like Dusty Springfield, Dionne Warwick and Sergio Mendes. Bacharach has done it all. He's got grammys, emmys, and oscars. He's dated supermodels, hung with the rat pack, and even gave the Beatles a run for their chart supremacy. And then, somehow became the poster boy for easy listening as the king of lounge music during the cocktail music revival of the 90s.